Robert A. Weis has concentrated in the practice of negligence and insurance law, both at the trial and appellate levels, in State and Federal Courts for over twenty years. In addition to commercial claims, he has extensive experience in the litigation of personal injury claims, professional malpractice claims, medical malpractice claims and related common law and statutory claims. He has served many of the largest casualty insurance companies, in addition to many of the larger self-insurers, as trial and appellate counsel. This representation has included all phases of personal injury litigation, including products liability, construction accident cases, homeowner and automobile liability, traumatic brain injury, municipal liability, construction litigation and all phases of professional liability, including medical malpractice defense on behalf of hospitals and physicians and the defense of legal malpractice matters as well as errors and omissions matters. Mr. Weis has served as a mediator in a Court sponsored program and has also represented individuals and businesses in connection with commercial disputes and commercial litigation. 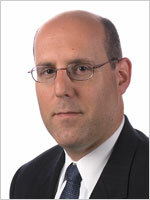 Mr. Weis currently serves as the managing attorney of the firm. He is a member of the House of Delegates of the New York State Bar Association, former President of the Putnam County Bar Association and in addition to his admission to practice in the New York State Courts is admitted to practice in the United States District Courts for the Eastern and Southern Districts of New York.